“We cling to the old culture, and fight for it against ourselves. But it must die. The old ideals must die. But let us not fear. Let us fling all we are into the cauldron of the Revolution.” Mike Gold, arguably the most influential figure in the American communist movement, said this in 1921 to initiate an American proletarian literary tradition. Gold’s declaration that old culture must die—a reaction against bourgeois heritage in art—exemplified the general attitude of the communist-affiliated American Left during the 1920s. With the commencement of the New Masses a few years later, Gold reiterated this message in greater detail: “Let us forget the past. Shakespeare, Dante, Shelley, and even Bernard Shaw—for here are virgin paths that their feet could not have trod in time and space.” Rejecting past literary influences, however, proved to be a challenge when confronted with Shakespeare. The American Left never could completely dissociate itself from Shakespeare. This was in part due to the fact that Shakespeare had become naturalized as a national poet in America during the nineteenth-century. It was also because the American Left’s Soviet and German counterparts, despite observing him with mixed feelings, never detached themselves from Shakespeare. To this end, Shakespeare continued to be a part of exchanges regarding the future of politically-committed Leftist culture and art. Ultimately, the American Left’s persistent battle with Shakespeare not only ended in defeat, but it actually reinforced Shakespeare’s cultural authority. Shakespeare reached iconic status in the Soviet Union by the mid-1930s, but he was not always openly welcomed by revolutionary Soviet artists. It was not until Maxim Gorkii publicly praised Shakespeare at the Soviet Writers’ Congress in 1934 that he was commemorated by Stalin and on a national level. At this venue, Karl Radek too acknowledged Shakespeare’s genius. Comparing the millions of Soviets that could access culture to the “small section of society” with access during the English Renaissance, Radek claimed that the Soviets “have one hundred times better chances that more Shakespeares, more geniuses” would be found among proletarian writers. Conversely, in the years immediately following World War I and into the 1920s, Shakespeare was the center of convoluted Soviet literary and cultural politics that traversed national boundaries. These debates dressed Shakespeare in disparate forms: “as representative of ‘bourgeois’ artistic traditions; as indispensable classic; as alien, foreign text; as Renaissance precursor to new Soviet society; as valuable box office draw; as dramatic master; and as outmoded sympathizer of aristocratic circles.” These debates likewise preoccupied the American Left during the 1920s, so much that Gold felt compelled to address cynics who made accusations that proletarian art was mediocre at best because of the absence of a single great writer like Shakespeare. When asked the question, “[W]here is your Shakespeare,” Gold responded, “Wait ten years more. He is on his way. We gave you a Lenin; we will give you a proletarian Shakespeare, too; if that is so important…we promise you a hundred Shakespeares.” The reference to Lenin illustrates the American Left’s link to international socialist and communist politics, and addressing Shakespeare in the plural demonstrates an opposition to bourgeois individualism. Nonetheless, using Shakespeare as an archetype for gifted writers highlights the Bard’s pervasive bearing on the American Left. Shakespeare’s attitude toward the working man, and his depiction of his characteristics, has far less value than it had in the fifteenth and sixteenth centuries. This means, of course, that his dramas as a whole, and no critic can judge a drama aside from the social forces that created it, have a different value today than they had during the whole period of feudalism. Even if it was not Calverton’s intention, by using Shakespeare as an example in a critical argument, Calverton reinforced Shakespeare’s cultural authority among the literary Left. Moreover, Calverton’s sociological method is quite similar to those theories of more well-known critics. Early writings of Bertolt Brecht, who has reached canonical status in present-day Shakespearean performance studies, depict a comparable attitude towards Shakespeare’s body of work. In 1927, Brecht endorsed the abolishment of bourgeois aesthetics in Germany and praised the sociological approach to literature: “[Y]ou, the sociologist, are alone in being prepared to admit that Shakespeare’s great plays, the basis of our drama, are no longer effective.” Calverton and Brecht represent international backlash against bourgeois cultural influences. Still, the specter of Shakespeare hovered over Leftist criticism. “Shall I kill myself or shall I not kill myself” is an idea similar to the idea “to be or not to be—that is the question.” But it is not the same idea. Shakespeare has said what my prose sentence has said; but he has said much more in addition; there is a whole hinterland of thought and emotion behind Shakespeare’s phrase which the prose sentence misses. In this instance, Shakespeare served as a model for the practice of creating a relationship between style and content. Even though Freeman valued content over style, he understood that if content was not compromised by “charming” aesthetics, then talented formalist techniques could strengthen a piece of literature. 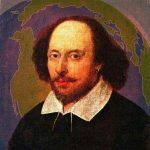 In an article urging workers to become writers, even Gold could not avoid turning to Shakespeare. Gold adapted Hamlet’s line “Thus conscience does make cowards of us all” (Hamlet 3.2.85) to make a theoretical claim of his own: “Technique has made cowards of us all.” This quote was published a month after his proposed Leftist program outlined in “Towards Proletarian Art.” The American Left may not have wanted to hold onto the past, but Shakespeare proved to be an asset for Freeman and Gold to propose literary formulas. While Gold and Freeman were establishing an American model for proletarian literature in the 1920s, Brecht was in Germany developing a theory for a political theatre that stressed the importance of content. Brecht suggested that “[t]he proper way to explore humanity’s new mutual relationships is via the exploration of the new subject-matter” and “[o]nce we have begun to find our way about the subject-matter we can move on to the relationships, which at present are immensely complicated and can only be simplified by formal means.” These thoughts preceded the development of Brecht’s epic theatre, but they show early traces of Brecht’s later stance that audiences should contemplate real living conditions when leaving the theatre, rather than indulge in personal emotional responses. Brecht’s emphasis on subject-matter complemented his own anti-heritage sentiments. Like the American Left, he too set up Shakespeare as the quintessence of the old bourgeois world. In brief, Gold, Calverton, and Freeman provide a strong representation of the direction of the American Leftist literary tradition in the 1920s. Gold claimed to be an internationalist while simultaneously believing that American writers “ought to set sail for a new discovery of America.” But the role of Shakespeare in international leftism affords us the opportunity to recognize the American Left’s cultural agenda. Its failed attempts to eradicate Shakespeare from the American proletarian tradition also reveal the overpowering cultural authority of Shakespeare. Moving into the late 1920s and the 1930s, American proletarian writers began to accept Shakespeare’s place in the proletarian tradition and included him more freely in creative work rather than solely literary criticism and political propaganda. Therefore, it is safe to say that the revolt against Shakespeare failed. Jeffrey Butcher is a doctoral candidate in English at George Washington University, Washington, D.C.
 Mike Gold, “Towards Proletarian Art,” Mike Gold: A Literary Anthology, ed. Michael Folsom (New York: International Publishers, 1972) 62. This article was originally published in the February 1921 issue of the Liberator. Mike Gold, “A New Continent,” Communism in America: A History in Documents, Albert Fried (New York: Columbia University Press, 1997) 70. Karl Radek, “Contemporary World Literature and the Tasks of Proletarian Art,” Soviet Writers’ Congress, 1934: The Debate on Socialist Realism and Modernism, Maxim Gorky et al., ed. H.G. Scott (London: Lawrence and Wishart, 1977) 148. Irena R. Makaryk and Joseph G. Price, “When Worlds Collide: Shakespeare and Communisms,” Shakespeare in the Worlds of Communism and Socialism, eds. Irena R. Makaryk and Joseph G. Price (Toronto: University of Toronto Press, 2006) 4. Mike Gold, “Proletarian Realism,” Mike Gold: A Literary Anthology, ed. Michael Folsom (New York: International Publishers, 1972) 204. Gold published these comments in his editorial column “Notes of the Month” in the September 1930 issue of the New Masses. Calverton, V.F., The New Spirit: A Sociological Criticism of Literature (New York: Octagon Books, 1974) 131, 132-133. Bertolt Brecht, “Shouldn’t we Abolish Aesthetics,” Brecht on Theatre: The Development of an Aesthetic, ed. and trans. John Willett (New York: Hill and Wang, 1992) 20. Freeman, Joseph, An American Testament: A Narrative of Rebels and Romantics (New York: Farrar and Rinehard, 1936) 213. Mike Gold, “A Little Bit of Millennium,” Mike Gold: A Literary Anthology, ed. Michael Folsom (New York: International Publishers, 1972) 78. This article was originally published in the March 1921 issue of the Liberator. Bertolt Brecht, “On Form and Subject-Matter,” Brecht on Theatre: The Development of an Aesthetic, ed. and trans. John Willett (New York: Hill and Wang, 1992) 30, 31. Gold, “A New Continent” 70.